Some cookie recipes require that you chill the dough before you bake them in order to help prevent them from spreading. What if you really want to make that kind of cookie but you don’t have the time (some require three or four hours, and others are overnight which is even worse)? Well I suppose you could not bake it and choose something else. I like my solution better which is to turn them into cookie cups! Since the cookie bakes inside of a muffin cup there is no way it can spread into thin disks. I needed to bake something last minute for my husband’s company BBQ. With little time on my hands, I whipped up these delicious cookie cups which are loaded with toffee bits and topped with chocolate chips and more toffee bits. Place paper liners in a standard sized muffin pan or grease each muffin cup. Set it aside. In a large bowl, beat the butter, white sugar, light brown sugar, vanilla, and salt until combined. Beat in the eggs. Set the wet ingredients aside. 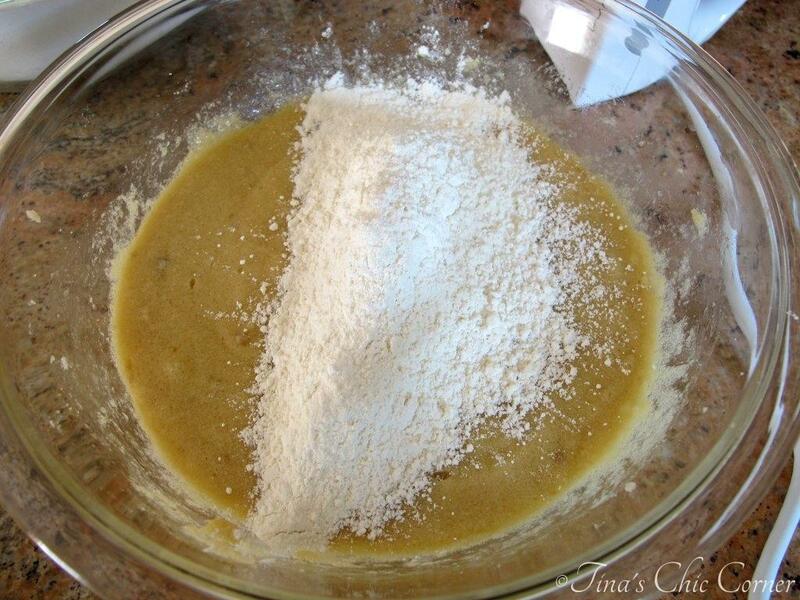 In a large bowl, whisk together the flour, baking soda, and cream of tartar. Stir in 1 cup of the toffee bits. Reserve the rest of the toffee bits from the package to sprinkle on top of each cookie cup. 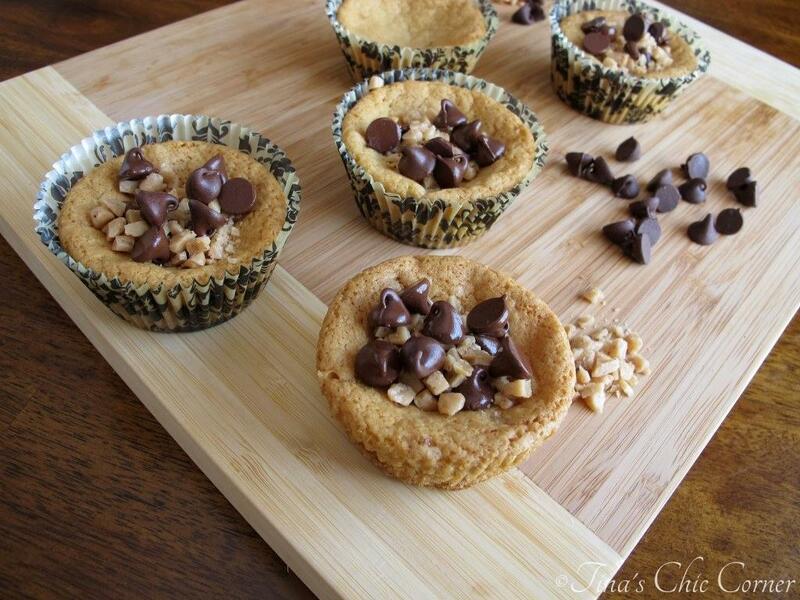 Drop about 1 and 1/2 tablespoons of cookie dough into each muffin cup. Bake them in the preheated oven for 13 to 15 minutes (mine took 14 minutes), or until they are slightly brown. Let them cool in the muffin tin for a few minutes then remove them to a wire rack. 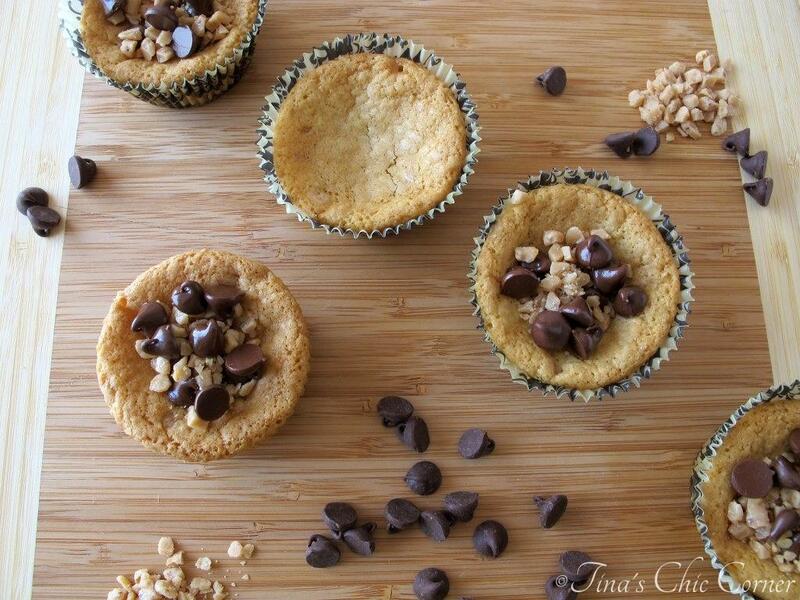 While the cookie cups are still warm, fill each cookie cup with a sprinkling of toffee bits and chocolate chips. Store them in an air tight container or freeze them in a freezer friendly bag. I used light brown sugar because the extra chewiness created by dark brown sugar isn’t needed here. The toffee bits themselves soften and make the cookies quite chewy. Wahoo, no chilling time required! 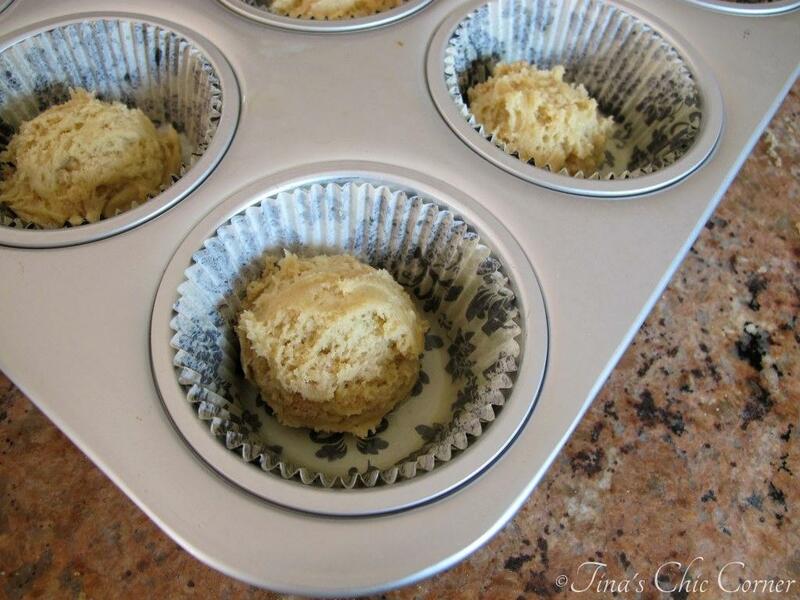 Go straight away to dropping about 1 and 1/2 tablespoons of cookie dough into each muffin cup. Let them cool in the muffin tin for a few minutes then remove them to a wire rack. It’s crucial that the cookie cups be as warm as possible when you fill them with chocolate chips and toffee bits because the heat from the cookie cups will help them stick. I know why they were a huge hit. They are a buttery cookie full of caramel flavors from the toffee bits and that is of course awesome. 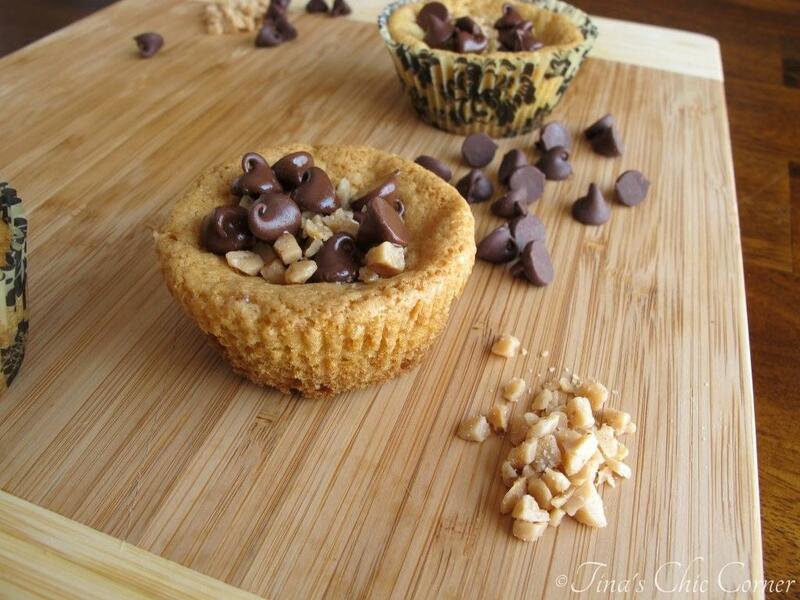 These cookie cups are incredibly soft and chewy. That’s the best kind in my book! 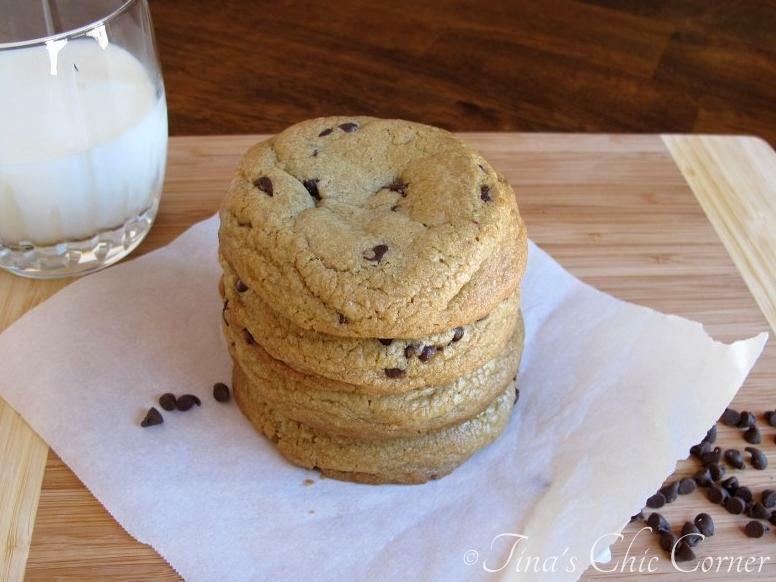 Looking for just good old fashioned Chocolate Chip Cookies? Try these perfect ones. Or perhaps you’d like some Chocolate Chip Macadamia Nut Cookies. These are so original, I love them! And I like how you don’t have to chill the dough before baking… when I want a cookie I want it now, not the next day!!!! I’ve made chocolate toffee cookie cups before and they did sink in the middle, but I didn’t think to put toffee and chocolate chips in them. 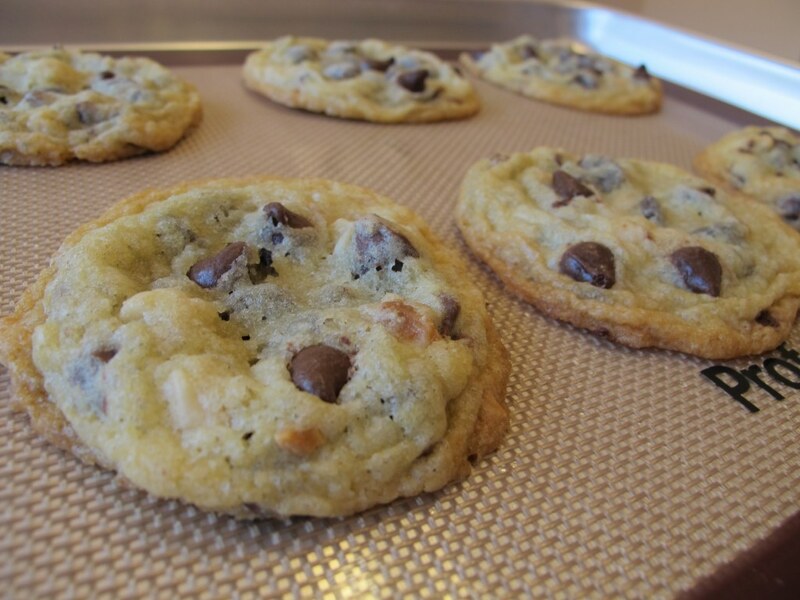 It makes them look even better … Like frosting for a muffin, but chocolate chips and toffee for a cookie! These look do soft and buttery and the toffee looks SO GOOD. Every time I made cookie cups, they sink in the middle. But it’s fine, because that means I can just stuff more goodies on top! 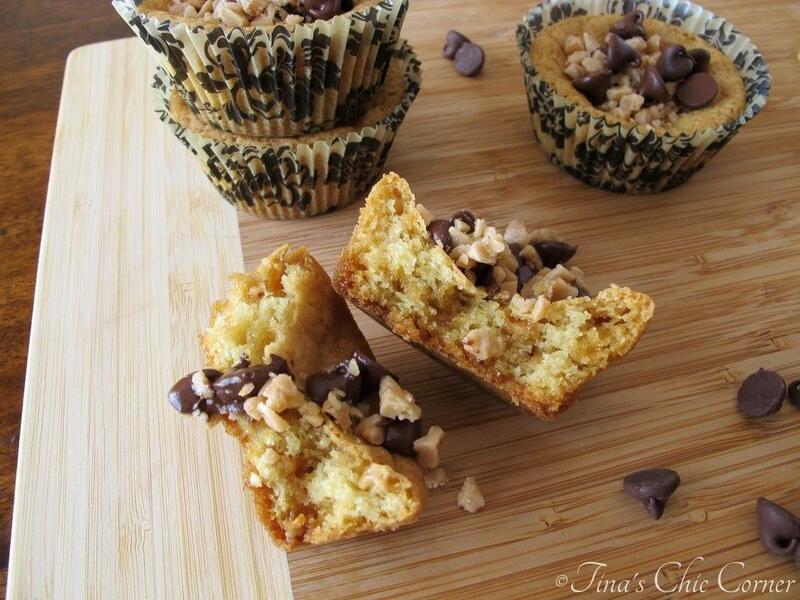 I love these- chocolate toffee cookies sound incredible and they’re so cute in the muffin cups! Your husband and his coworkers are lucky people! These look amazing. 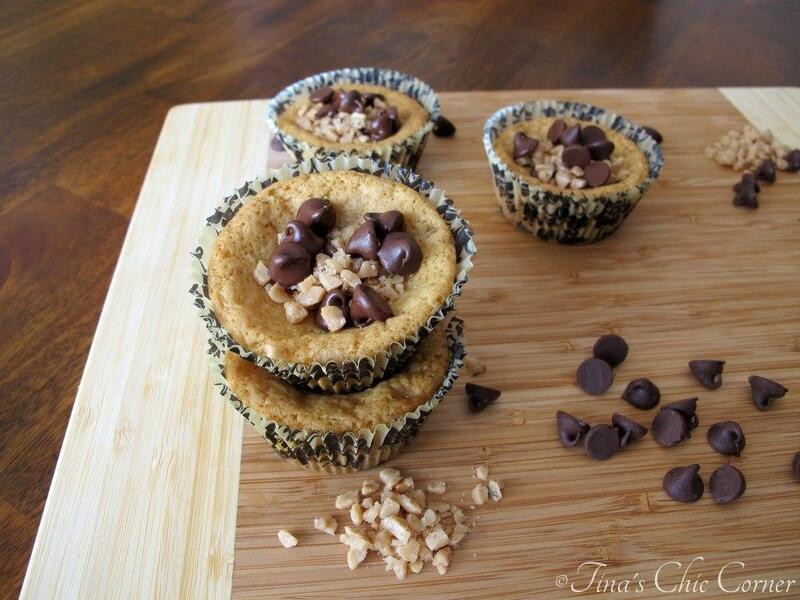 I am loving these cookie cups, they look uber delicious Tina! They are mad tasty and addicting. My husband kept eating them (toffee is one of his favorites)…before we even got to the BBQ! I thought we might have showed up with an empty platter. Lol. I’m in love with cookie cups! They’re so much fun to eat. Love chocolate and toffee. Delicious Tina and pinning! I made cookie cups the other day for exactly this reason! I needed cookies and I needed them NOW. Except…mine didn’t have toffee. Bummer. Because that sounds amazing. Tina, I love the idea of baking cookies in muffin cups. So smart! Pinned. Oh, yes, sometimes the chilling is such a bummer! Love this idea! Plus then the cookies are super thick! I’ve simply accepted that chill time is required for most of my cookie recipes, but when I’m in a rush, well then all bets are off. 😉 Short cuts are necessary sometimes and I was glad this one worked! I love cookie cups – I think they’re so fun (and look cute). I like the toffee in here! I really don’t use toffee enough – I need to change that! Toffee is awesome. 🙂 I eat it by the handfuls. Have a lovely weekend Ashley!